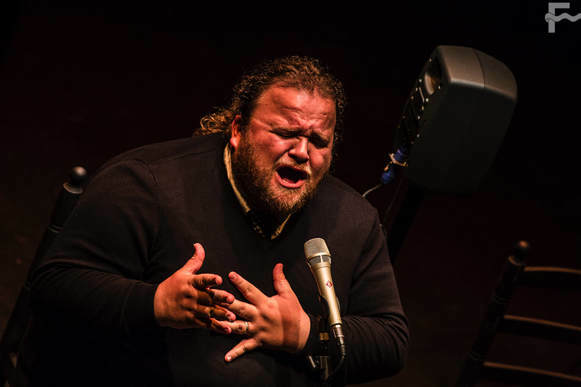 Cante was in the spotlight during the last days of the Festival de Jerez. 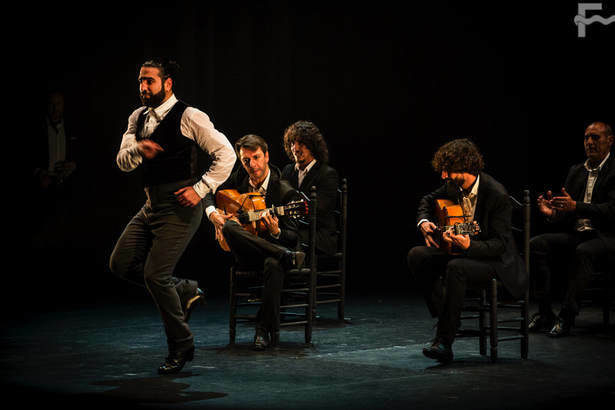 Cante was in the spotlight during the last days of the Festival de Jerez. On Tuesday, March 6th, at the Sala Compañía venue, we attended the presentation of Ezequiel Benítez’s latest album, “Quimeras del Tiempo – Recuer2”, the second in the trilogy. 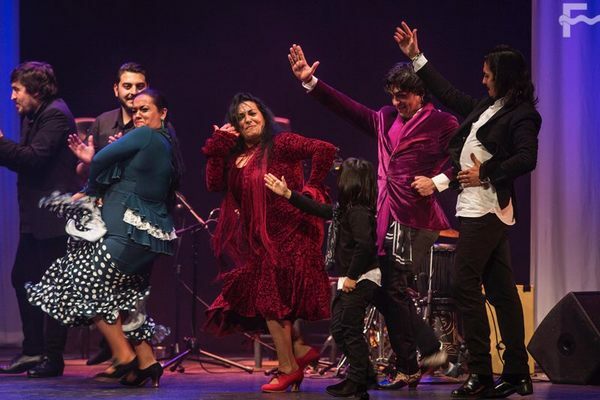 This is an enthralling work, as it involves a process of deep research into flamenco styles, their creators and their performers, in order to bring them to a fresh reality in a truly pleasant voice. 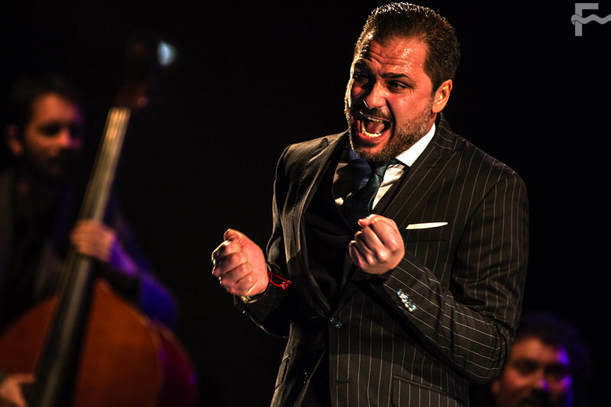 The biggest applause in the evening was for his soleá in honor of Tía María Bala, sister of Manuel Soto Sordera, where he achieved in the lower notes the same strength as in his high notes, yet always surrounding it all with tenderness. Ezequiel also paid tribute to the cantes of the Santiago district, recalling the bulerías of Tío Paulera, Terremoto and Tía Bolola, as well as Don Antonio Chacón por malagueñas. 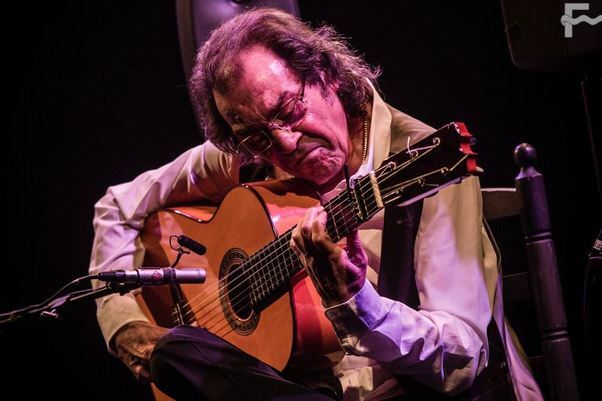 He was joined by the guitars of Paco León and José de Pura, the baile of María del Mar Moreno and the cante of Jesús Méndez, with whom he sang, in a duet, the zambra featured in his album. Guajiras, fandangos por bulerías and fandangos naturales were also performed. It was all a great success for Ezequiel. We give the same verdict to the presentation of “Con la voz en la tierra”, the second solo album of David Carpio, cantaor from La Plazuela district whose skill and self-confidence are always growing. 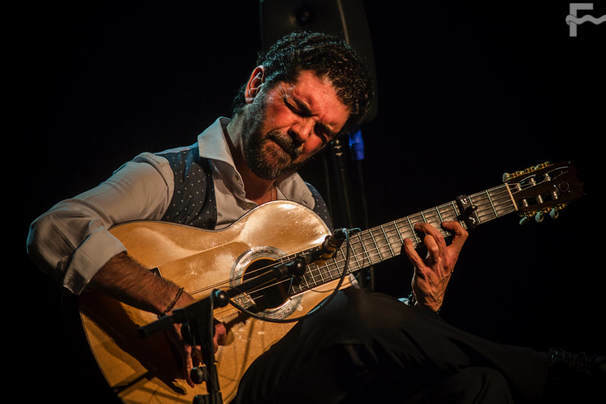 This album has a flamenco essence, where he adds, or allows to feature, other instruments such as Pablo Martín’s bass, with whom he performs a particularly charming soleá. It is true that, after many tours performing in baile companies, this cantaor has full control of tempo and tunes, as well as the stage. 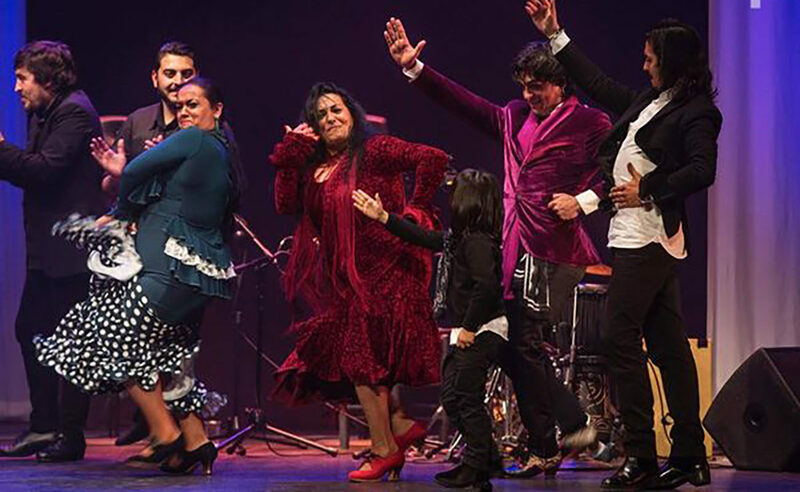 Manuel Liñán didn’t want to miss this event and climbed on stage to dance por bulerías the lyrics composed by David himself, dedicated to his parents. Manuel Valencia enjoyed the evening with his buddy, and we enjoyed his toque, as well as the toque of Santi Lara, the album’s producer, and Diego del Morao, who took part to perform some bulerías dedicated to his father Moraíto. Seguiriyas, tangos del Piyayo and fandangos were also performed, captivating the public. After attending this event, we can rest assured that the cante of Jerez is in good hands, and even better throats. 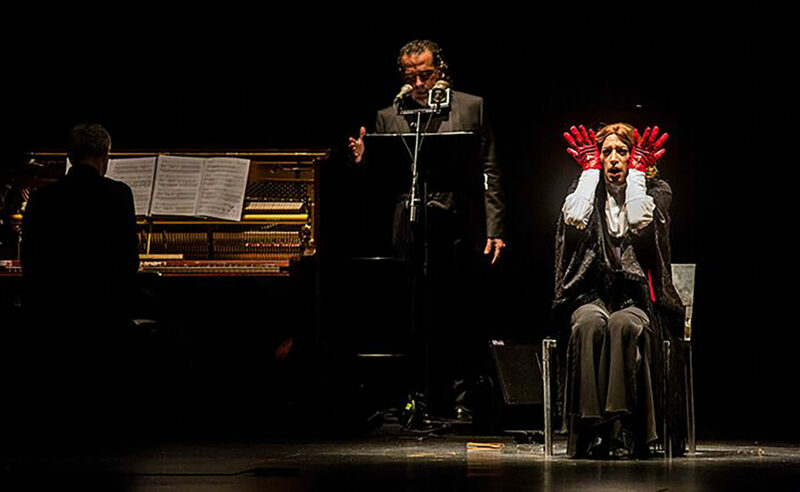 On Tuesday, at the Villamarta theater, Rafaela Carrasco performed her production “Nacida sombra”, a journey through the Spanish literary legacy of the so-called Golden Century (“Siglo de Oro”). 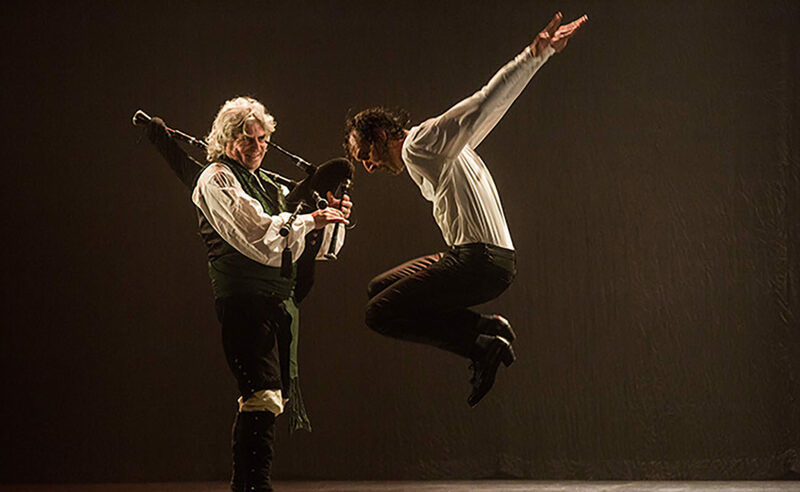 We can say this was among the best shows in the whole Festival, with the class and level that can be expected from an event performed at the main venue of the Festival of Jerez. 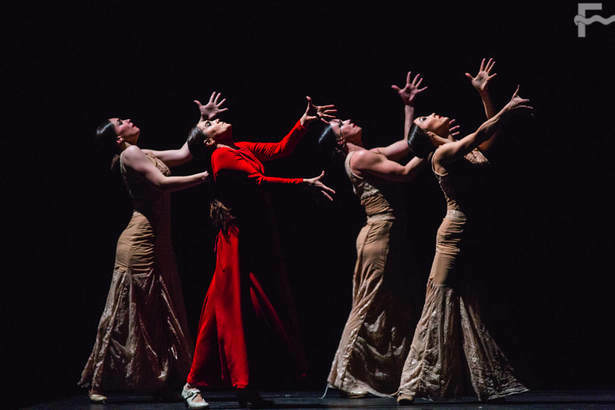 It’s important to give credit to Rafaela’s thoughtful creativity, far removed from the frivolity of her other colleagues who focus more on putting on a show, rather than performing flamenco. 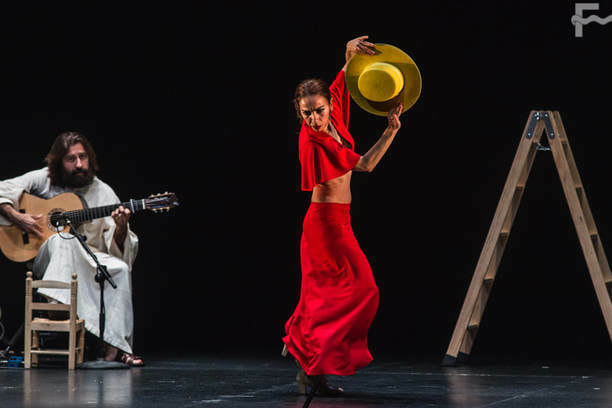 Daniel Doña’s company covered the stage with dance the following day, and Antonio Molina El Choro, from Huelva, was more liked for his baile than for the whole of his production. With “Gelem Gelem”, the hymn of the Gypsy people, he vindicated his origins, the essence of his lineage and the reason for his art, joined by Pedro El Granaíno who sang the hymn time and again. We left wanting for more. Isabel Bayón came at the end of the week breaking myths with DJU-DJU, a galvanizing production portraying the lack of superstitious fear. She walks under a ladder, cuts the strings of a guitar as the “Grim Reaper”, breaks mirrors, a porcelain cat comes out… All truly hallucinating and boundless. 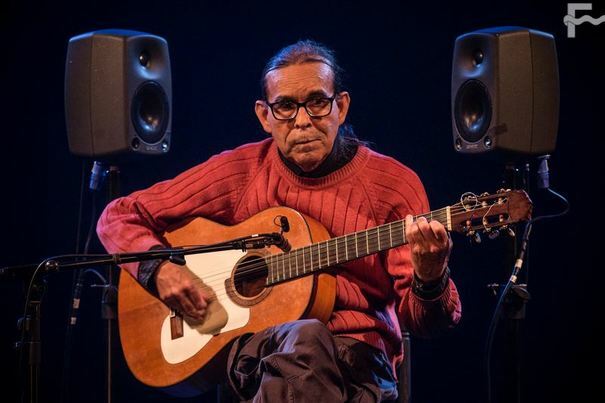 El Carpeta closed the festival without the presence of Antonio Canales, due to the controversy created weeks ago by his harsh critics to the festival, although his brother Farruquito was meant to take his place. Yet, he was a no-show, too. Well, not really. He came on stage almost as the curtain fell but didn’t dance due to health issues. Farruca did join her son Manuel El Carpeta, who didn’t quite achieve the expected success with his show “A Bailar”, as his performances were far and between and not too convincing. His supporting musicians and cantaores had to fill in for half of the show. 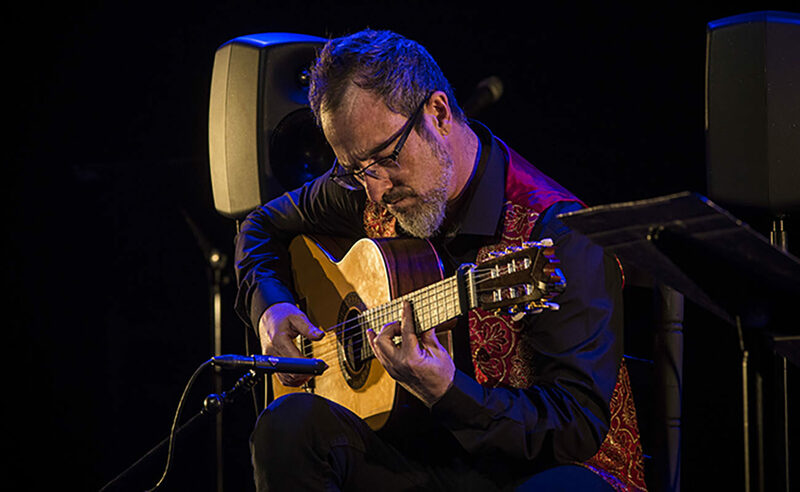 Flamenco guitar also caused a big sensation with the presentation in style of José Carlos Gómez’s album ‘Origen’, and the performances by Pepe Habichuela and Diego de Morón on Saturday evening. We enjoyed a masterful school, a sound which is changing little by little and two personalities whose charisma is enough to thrill the audience. Diego de Morón, wearing a pink pullover and a metallic thumb, captivated us with his performing purity, his clean sound and the fact he is like no other. Habichuela, more active and polished, displayed his marvelous language with the guitar, creating endless magical melodies.